Hero Arts Bling PINK GEMSTONES Pretty Gems ch127 at Simon Says STAMP! ch127 /0.1 This item is on reserve until If you would like to reserve this item now, you may purchase it now with the rest of your order. We will hold your order now and ship your entire order as soon as this item is back into stock. If you would like your order to ship now, please place this item on a separate order. Success, Hero Arts Bling PINK GEMSTONES Pretty Gems ch127 has been shared! Try Assorted Crystal Gemstones! 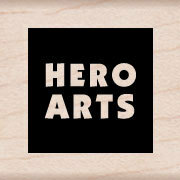 Hero Arts is a leading manufacturer of wood mounted stamps and accessories. Ideal for embellishing rubber stamped greetings or scrapbook pages. The gemstones have adhesive already on them, you can use the full strip or one at a time. Directions for easy use are on the back of the sheet. There are 44 total pieces per package in 4 sizes! Each gemstone is round and measures 1 to 3mm.